It might cost the City between $10,000 to $20,000 for a highest and best use analysis for each property, the Councilman thought. Machine learning can do better. We’re all aware of machine learning’s impact on the real estate market. Zillow’s Zestimate has transformed how America shops for housing and provides the latest example of how machine learning is disrupting the regulatory process. 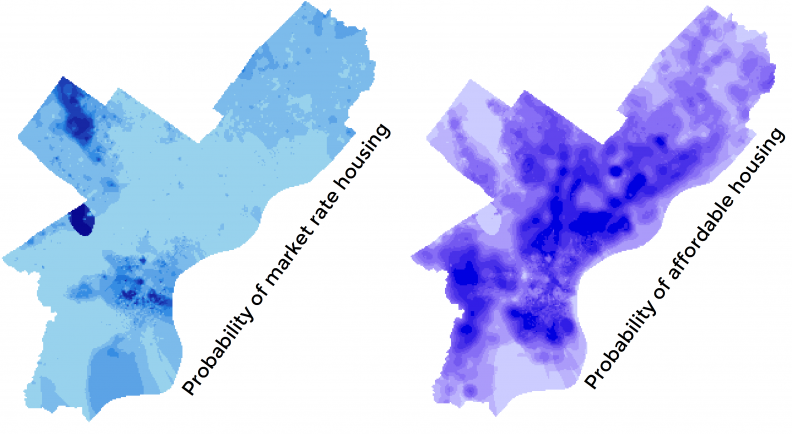 If machine learning can predict house and land prices – it can also predict the land use decisions of market actors. The City collects data on zoning variances – land use information which reflects ‘highest and best use’ according to the real estate market. Spatial data on recent zoning variances, land use patterns, permits and tax assessment data would be used to predict the probability that the private market will upzone a property or develop a particular land use for a parcel. 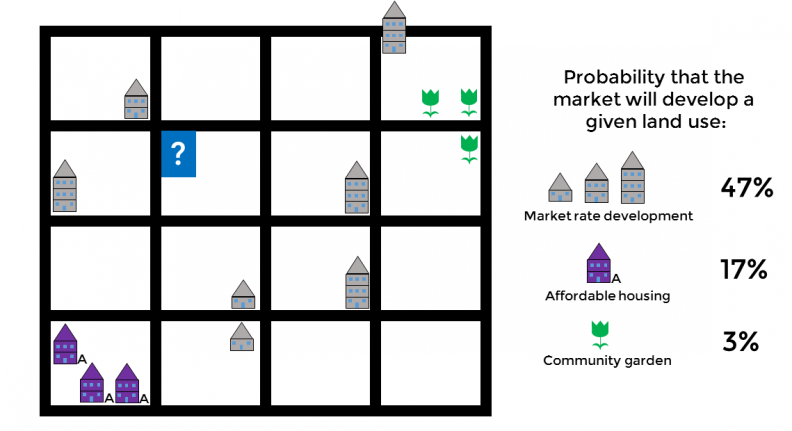 The output would be a set of maps that illustrate these probabilities citywide. These analytics would provide a concise and transparent estimate of ‘highest and best use’ on a parcel level, which the City could use to upzone and value the land before conveying it to a developer. Doing so would bring real revenue into a city coffers – the kind of revenue that can fund much needed city services, like schools and safe streets. This tool would also help the Philadelphia Land Bank develop their annual strategic plan which prescribes the appropriate mix of for-profit, non-profit and community land uses for the City’s land inventory.